78-7070 Alii Dr, Kailua-Kona, HI 96740 (MLS #623680) :: Aloha Kona Realty, Inc. 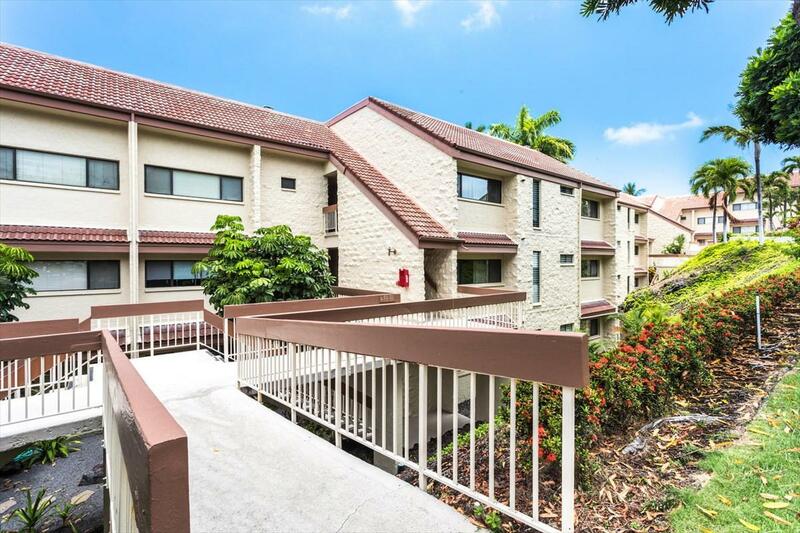 The Keauhou Punahele, a wonderfully maintained and managed Condominium complex, is situated at the south end of Alii Dr, near the Sheraton Resort and Keauhou Bay. It is built of concrete for durability and this unit has nicely upgraded kitchen and bathrooms. Here is an opportunity to own a great top floor, end unit, in the quiet E-Building! Soaring open beam ceilings, an open, split floor plan with bedrooms on either end, plus a 3rd loft bedroom with its own bathroom, and an extra wall of windows to make this unit airy and bright. What a great family home or island vacation get-away! 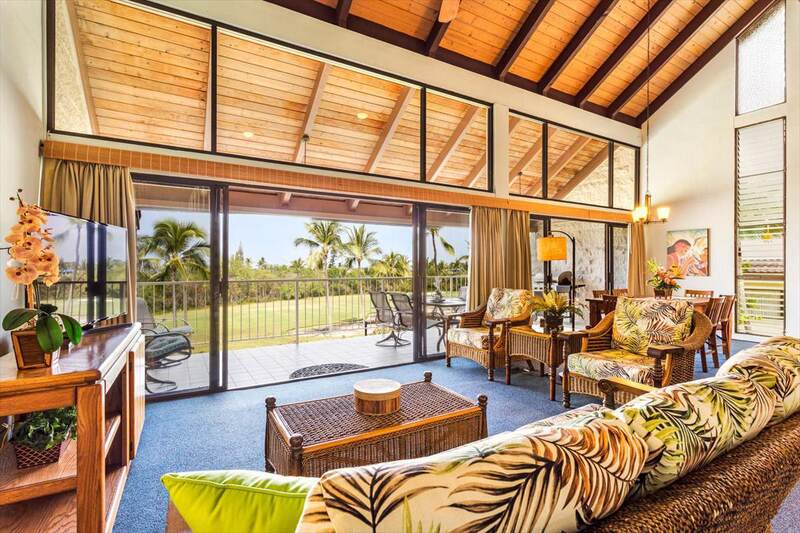 Your lanai is west facing and perched above the 8th fairway of the Kona Ocean Course with a partial view of the ocean and a terrific spot to have a BBQ and enjoy a Hawaiian sunset. It is a tropical paradise, dotted with coconut palms, fragrant plumerias, colorful bougainvillea, crotons and azaleas. 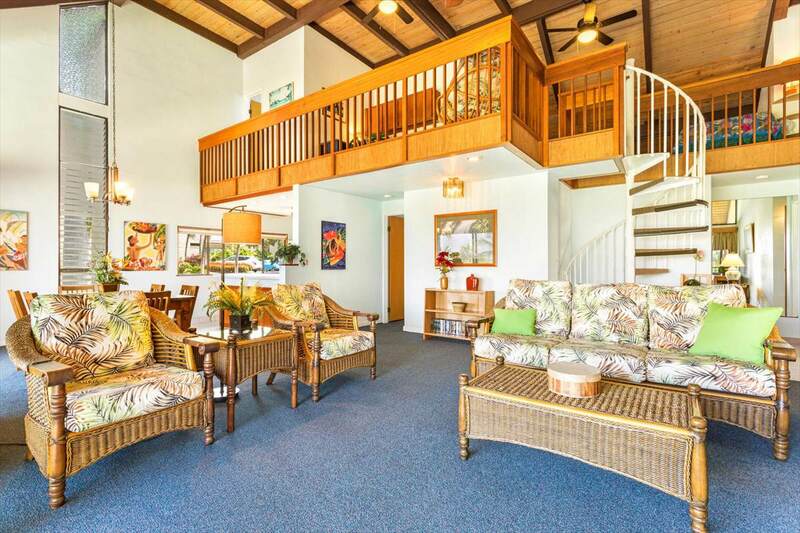 Situated in a very convenient location close to Keauhou Shopping Center, for grocery, restaurants & movie theatres. The Kona Country Club & Amici Bar & Grill, Sheraton Kona Spa & Resort, and Keauhou Bay, for all those favorite water sports, are all within walking distance! !The condo fees are quite reasonable for this size unit. They include your common area pool & spa maintenance, insurance, water, sewer, trash pick-up, regular pest control (inside and out), basic cable and full time resident manager. A small pet may be permitted with board approval too and short term rentals are also allowed. Parking stall is #13. Interior of unit was just freshly painted, 9/2018.